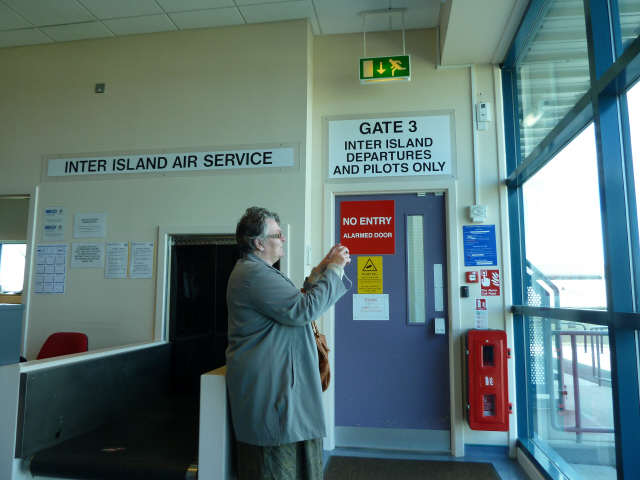 The Inter-Island part of Kirkwall Airport is pretty laid back, as all small plane flights should be. You have to be there 10 mins before take off, which gives them time to check ypou in and weight your bags. Then the pilot asks you to come out to the plane – back two rows of seats use the back door and the front two rows use the front door. 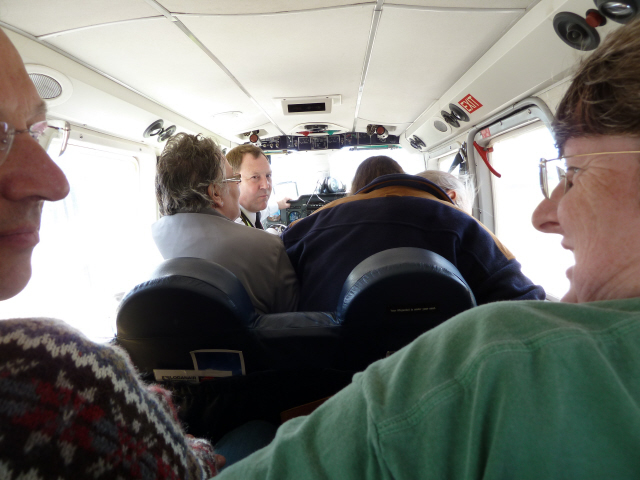 The pilot joins us and gives his safety briefing, then we are off. 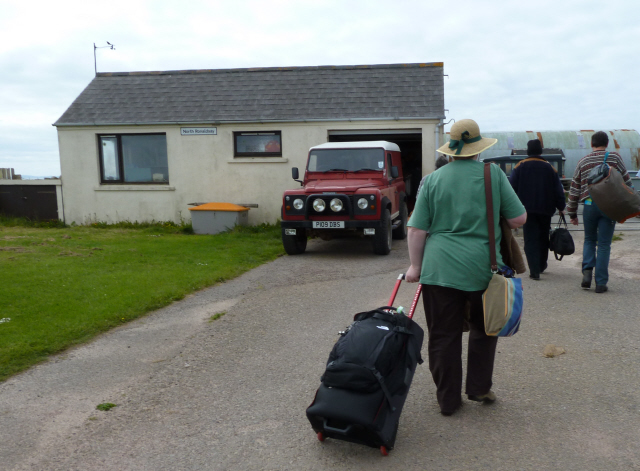 North Ronaldsay’s air strip is even smaller, and you select your baggage from the tail of the plane before walking past the fire appliance (fairly recently upgraded from an old tractor to a land rover) to the ‘arrival gate’. And there we were, on the island. 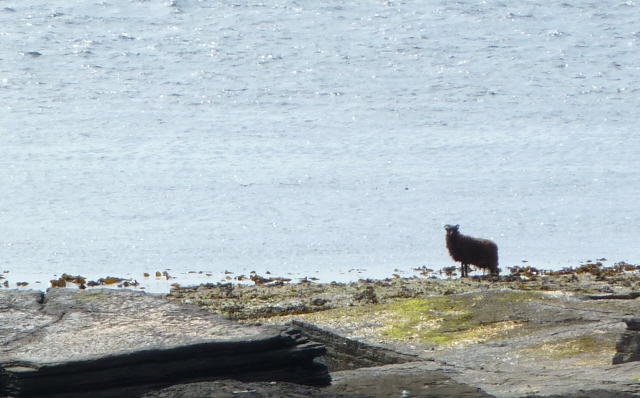 Once on North Ron, the first thing to do is always to walk down to the shore and find sheep. We had only gone a few yards towards the track when we reached the area where Alison and family clip their sheep. Jane was delighted with the pickings. 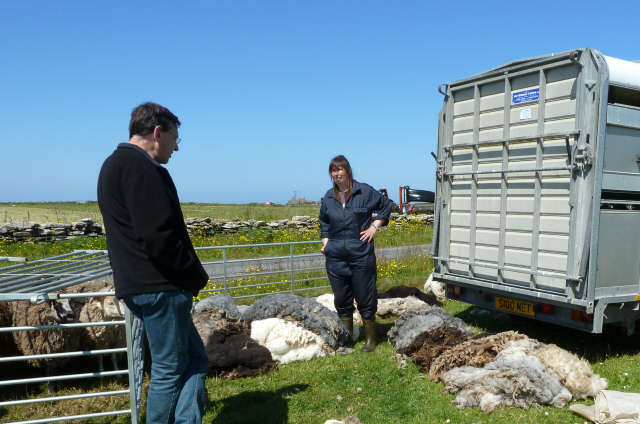 Once on the rocks, the sight of your first sheep is always exciting, especially for a spinner interested in rare breeds. Jane was in seventh heaven!! 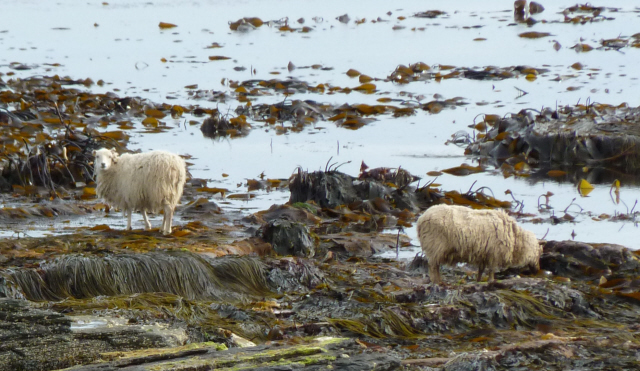 It was low tide, so the sheep were right out feeding on the ‘red weed’ only visible, and therefore eatable, at the very ebb of the tide. Sunday was a full day! 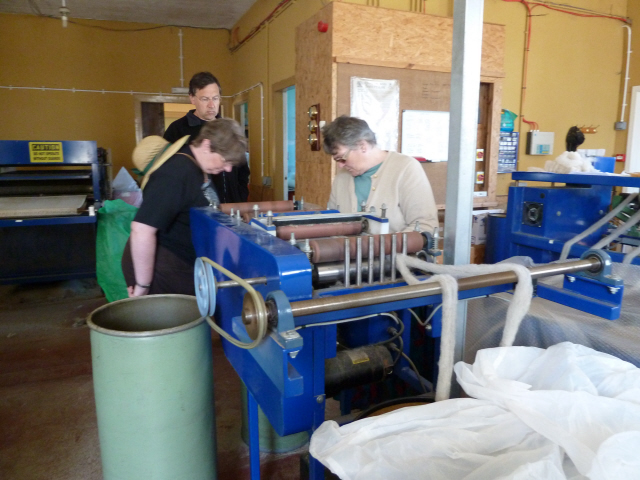 Jane Donnelly, who runs the mill, had told me she was clipping, and that Mark would show us round the mill. I knew where Jane’s croft was and had it on my list to visit later in the day. 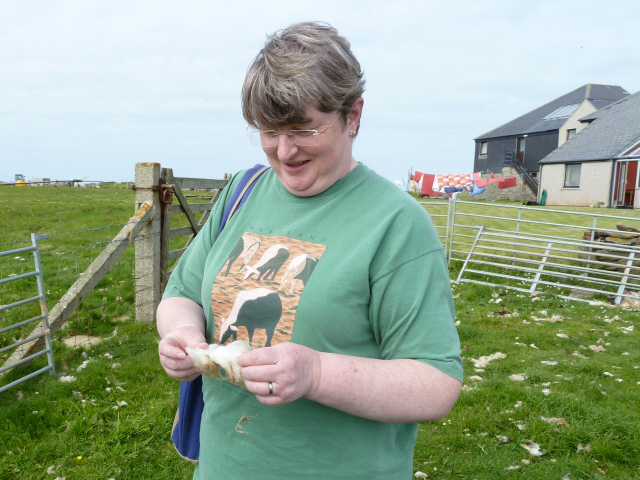 But as we travelled up the island towards the mill we came across them clipping in a field by the road. 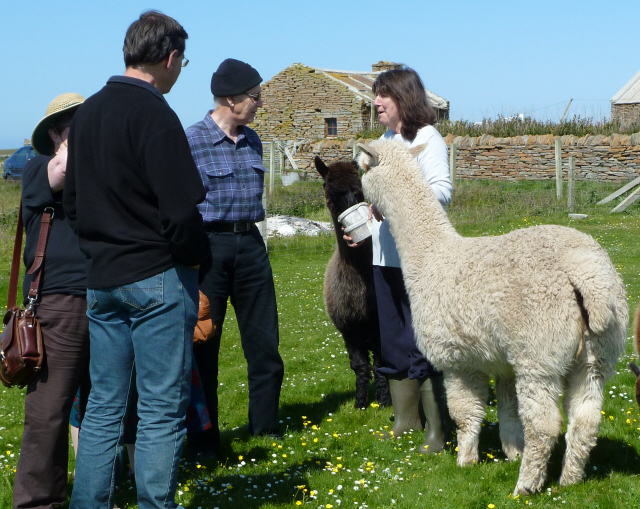 So we stopped and chatted, chose some fleece on the hoof and arranged to come back later to make the final selection! Then on up the island to Westness to watch seals watching us, and to watch sheep outside the dyke..
…and the lighthouse for the fit. While they went up the the 176 stairs to the light, Anita and I stayed in the new cafe testing the new home made lemonade (verdict – excellent!). Then back down the road for Jane to make her final choice of fleeces. 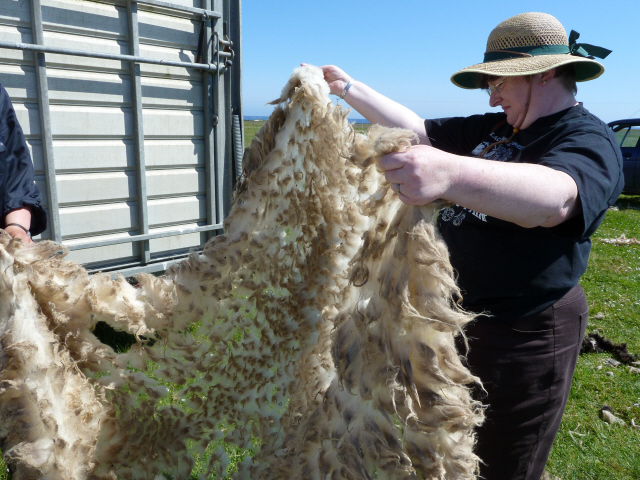 In a recent article for YarnMaker I had talked about the lace curtain effect shown by fleeces suitable for hand spinning, and Jane had a chance to see it in action! 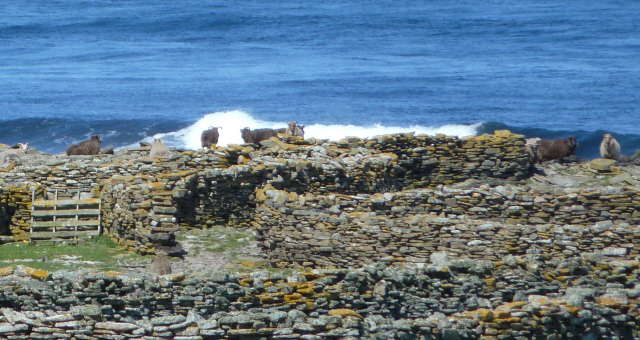 Then back to the cafe again for lunch and some more sheep watching…. 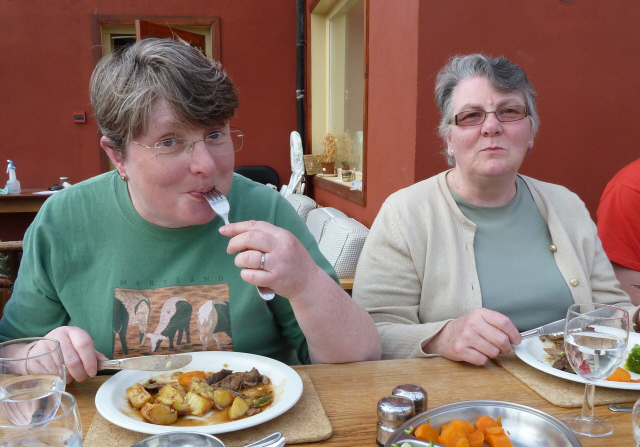 …before going down to the south of the island again to meet up with June Morris. 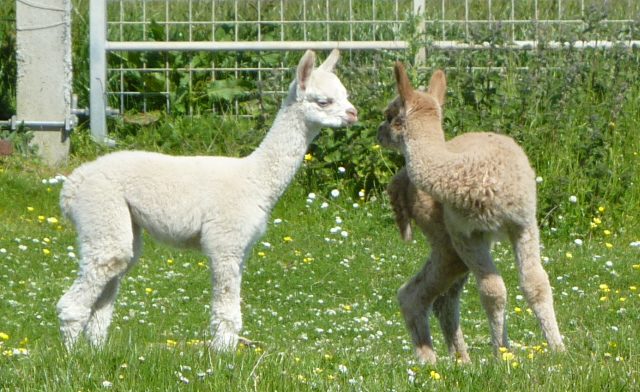 June (on the right) had a load of sheep and an alpaca herd – all incredibly friendly. Monday moring was an early start as Anita, Nick and I were going on to Fair Isle. 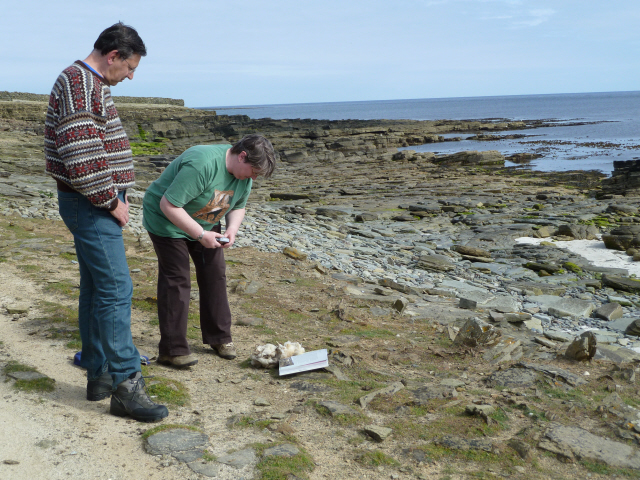 We left Jane and Paul to have their more leisurely breakfast – they were taking a later plane back to Kirkwall for a couple of days doing the main Orkney sights before heading home.